In this example, we’ll perform spectrum analysis on a complex sinusoidhaving only a single positive frequency. We’ll use the Hanning window which does not have as much sidelobe suppression as the Blackman window, but its main lobe is narrower. Its sidelobes “roll off” very quickly versus frequency. Compare with the Blackman window results to see if you can see these differences. 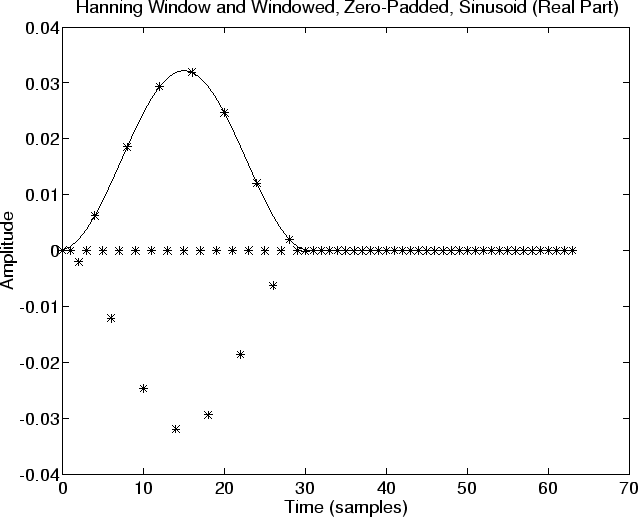 Figure 9.7:A length 31 Hanning Window (“Raised Cosine”) and the windowed sinusoid created using it. Zero-padding is also shown. The sampled sinusoid is plotted with `‘ using no connecting lines. You must now imagine the continuous sinusoid threading through the asterisks. 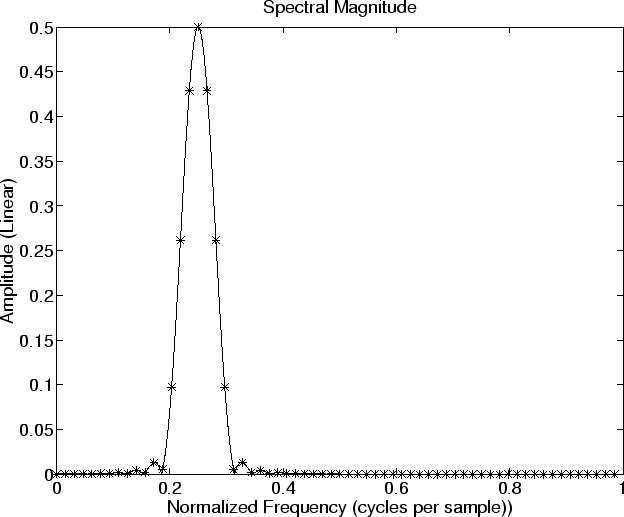 Figure 9.8:Spectral Magnitude, linear scale. 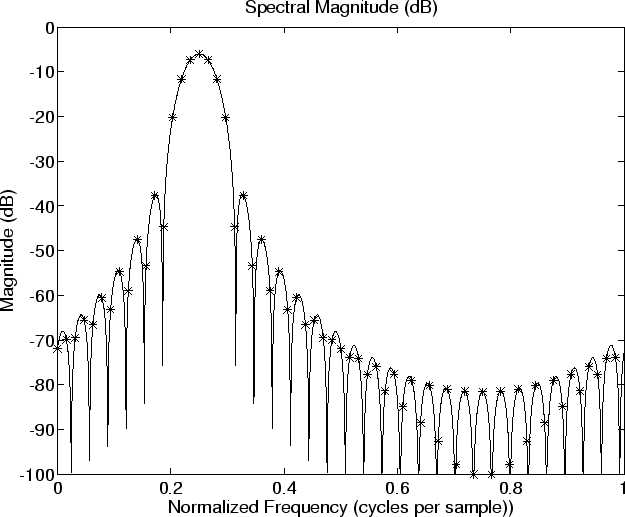 Figure 9.9:Spectral Magnitude, dB scale. Note that there are no negative frequency components in Fig. 9.8because we are analyzing a complex sinusoid which is a sampled complex sinusoid frequency only. Notice how difficult it would be to correctly interpret the shape of the “sidelobes” without zero padding. The asterisks correspond to a zero-padding factor of 2, already twice as much as needed to preserve all spectral information faithfully, but it is clearly not sufficient to make the sidelobes clear in a spectral magnitude plot.